By default all your screenshots are saving on desktop, but you can change this location to any other folder on your Mac. First of all, start the terminal. 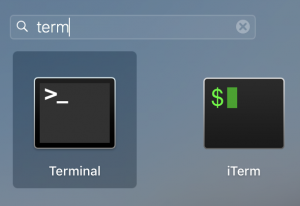 I personally prefer iTerm, but you can use default one that is installed on every Mac. Take a screenshot right now with Cmd + Shift + 3 and new screenshot will be saved to the folder you chose in previous step.